Nail trends come and go, I always seem to be behind on the trends seen as though now the latest craze is chrome nails! It also may seem like I get my nails done all the time but I really don't promise, I get them done every month or so and in between just paint them myself. Going to the salon and having them done is so relaxing and time to just sit and do nothing - its great. 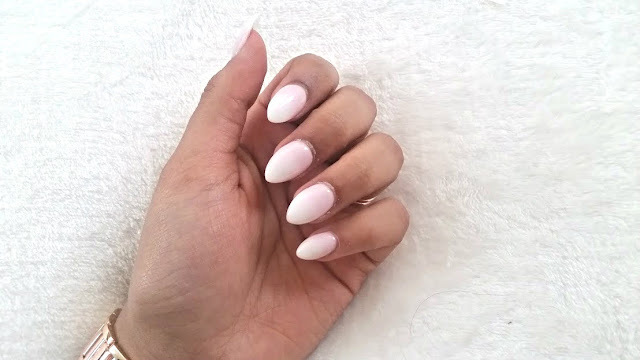 This time round I went for 'baby boomer' nails which are a twist on a classic french manicure. Instead of having a clearly defined tip and base colour, its all blended in together to become an ombre. Looks very chic and super pretty. It took me a while to get used to them because mine have more white than pink but over the weeks, they seem to have grown on me and now this may just be all that I get. The nail place that I go to also does them in different colours, so blue and white or even yellow and white. The compliments that I have received regarding them as well has been incredible, from random checkout staff in Tesco to a customer at work taking a picture of them so she can ask for the same next time round. I as well as others are in awe of them! 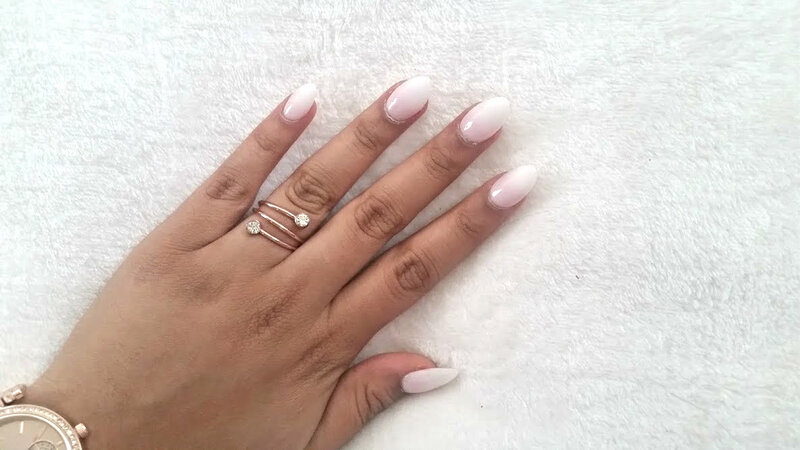 Are you a fan of the baby boomer nails? Yah or Nay!